﻿ Best Price on Couples Negril in Negril + Reviews! Couples Negril is located on the beachfront just outside Negril, on the western tip of Jamaica. It offers 2 outdoor pools, a spa and air-conditioned rooms with a private balcony. The rooms at Couples Negril feature plenty of natural light and views of the beach or garden. Each one comes with flat-screen cable TV, iPod docking station and a private bathroom with a hairdryer and bathrobe. 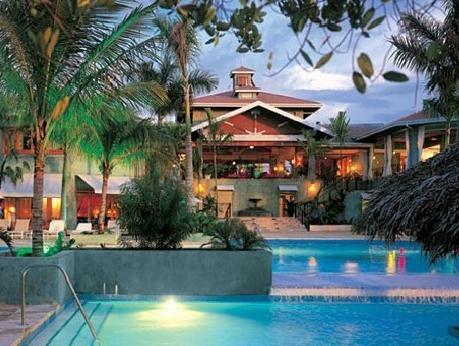 The resort’s 4 restaurants offer a range of food, from Asian to Caribbean. The bar offers live music, and you can also arrange to have a romantic dinner on the beach. The Couples’ spa offers a wide range of massage and beauty treatments. There is also a hot tub, tennis courts and a modern fitness center. You can enjoy yoga, Pilates and water sports at the resort. Montego Bay Airport transfer, off site excursions, glass bottom boat ride, trip to Margaritaville, shopping shuttle, catamaran cruise and trip to Popular Sunset Bar are included. We typically stay at 5 star hotels, however we enjoyed our stayat Couples Negril.